Bianca Whiteman graduated with a law degree from Monash University prior to pursuing her passion for perinatal psychology. After completing a Graduate Diploma of Psychology, she continued her training, attaining a first class Honours degree at Monash University, followed by a Masters of Clinical Psychology at Australian Catholic University. Bianca's thesis was on an assessment of a perinatal informational support service for new parents "Partners to Parents." Bianca was further trained and supervised in her role at the Perinatal Anxiety & Depression Australia (PANDA) as a telephone support worker, conducting assessments, and providing supportive counselling to women and families dealing with postnatal depression and anxiety and adjustment difficulties. In this role, Bianca assisted a variety of clients at their first point of contact in reaching out for help, at times when high levels of distress and feelings of shame were prominent features of their presentations. Bianca developed a gentle, calming approach to help distressed callers feel grounded, and comfortable about their help seeking. Bianca also became well acquainted with community support services for pregnant and postnatal women. Over time, Bianca has been mentored by Dr Renée Miller. Following her time at PANDA, Bianca was recruited by CARING MUMS (a not-for-profit volunteer service comprising women who provide emotional support to vulnerable new mums in their homes). As the assistant program coordinator, Bianca was responsible for intakes of mums to the program, as well as training and fortnightly supervision of the volunteers caring for these mums. ​Whilst continuing to develop her skills in perinatal mental health, Bianca currently works as a Psychologist in private practice in Caulfield North. 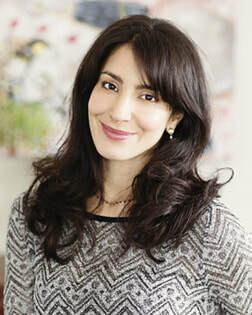 She provides therapy to expectant and new parents, with a keen interest in helping parents transition well to new parenthood, and foster healthy relationships with one another, and with their children. Bianca sees women and couples who have sadly lost pregnancies, experienced stillbirth, who are working through tough decisions in the face of pregnancy anomalies, as well as those who are experiencing infertility and assisted reproduction. Bianca draws from a range of therapeutic approaches including Cognitive-Behavioural Therapy (CBT), Mindfulness, Interpersonal Psychotherapy and Schema Therapy. Bianca focuses on the client-therapist relationship as an important component of therapy, whereby clients can feel safe to explore their thoughts and feelings in an environment that is calm, soothing, and non-judgemental. Bianca recognises the value in helping clients discover their strengths, resilience and meaning as they transition through the childbearing stages of life. In a collaborative way, Bianca works with clients to set goals based on their values.